The war has been declared. Prepare your army to crush the opposing side in epic battles in war struck lands. In these battles, it does not matter if you are a spell-crazed Naga or a malevolent Demon; you won't have any chances of peace, only death and ruin will prevail. 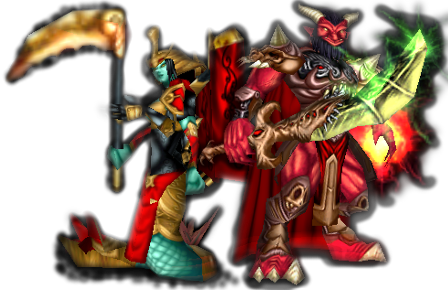 Power of Corruption is a altered melee style map which features two customized races: The Naga and the Demons. Time has passed and the map has been improved in many ways, now it's 100% vJASS and it features nice spells, abilities and characteristics which, hopefully, will give to the melee style game a new fresh air. Here you will find all the information about this mod. Here you can post your feedback and comments about this mod.